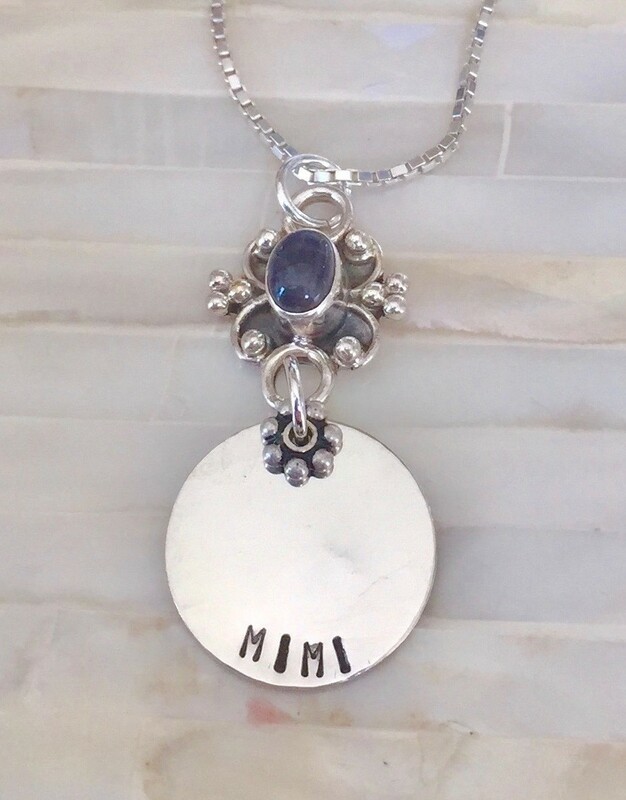 Personalize this hand stamped gemstone necklace with the names of your family, children, inspirational words or milestone dates. 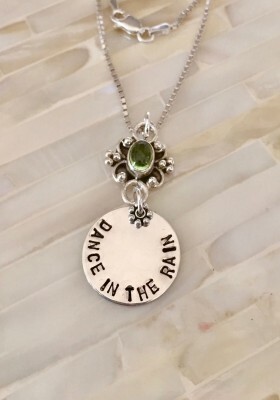 The classic circle pendant is connected by a genuine gemstone link and will make a beautiful keepsake to wear close to your heart. 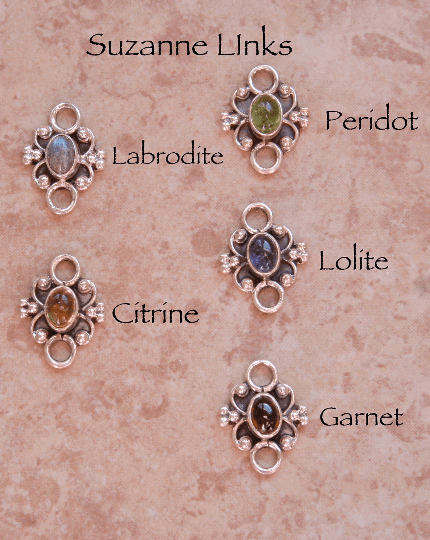 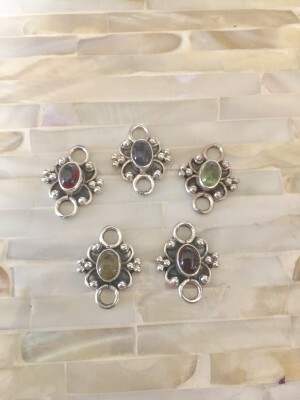 Gemstone link is available in Citrine, Lolite, Labradorite, Peridot or Garnet. 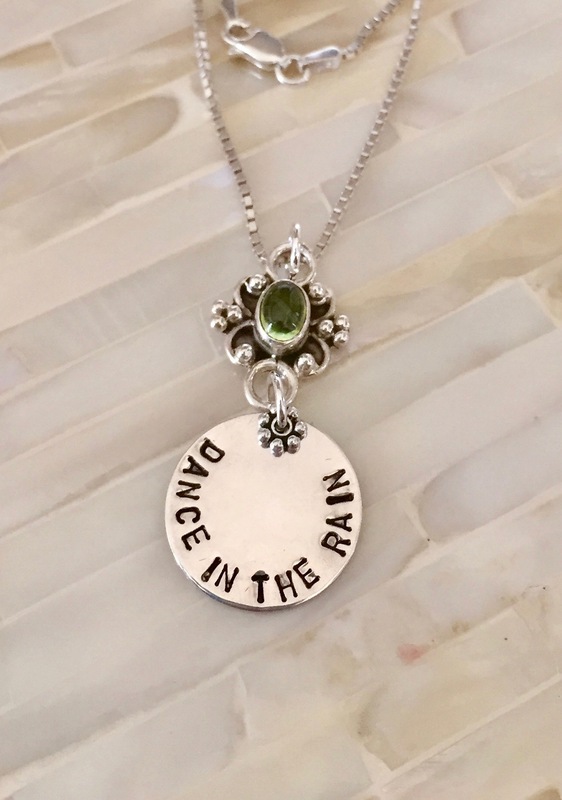 Categories: Classic Hand Stamped Necklaces, Clearance Room, Collections, Necklaces. 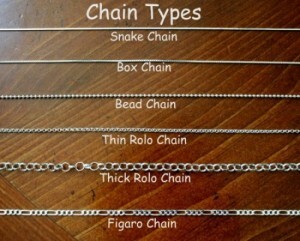 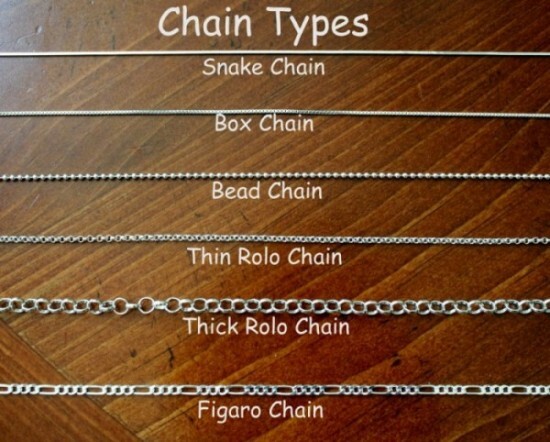 Tags: Gemstone Necklace, personalized necklace, sterling silver.